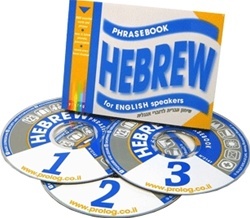 A new and up-to-date phrasebook, together with 3 CDs. The phrasebook contains around 2000 fully transliterated words and expressions relating to areas of everyday life (basic expressions, at the hotel, restaurants and food, shopping, asking for directions, and others as well). So that the learner can use the CDs without the phrasebook (while driving, walking for exercise, etc. ), the words and sentences are read aloud together with their English translation.